I can provide a disco that will ensure the finale of your big day is a truly memorable celebration. 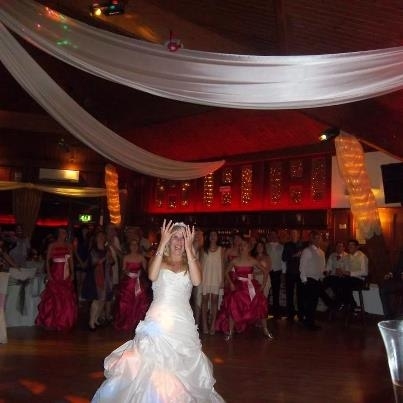 I can accommodate all of the bride and groom’s requests, from traditional party discos through to themed weddings. Each is handled with an attention to detail and a care as though it were my own wedding. I start by working closely with all my clients in advance of their wedding day to gain an understanding of timings, other requirements, expectations and musical tastes. I also welcome play lists of your favourite tunes (it has been known for a complete evening of pre selected songs). I am of course also happy to offer help and advice at any time prior to your big day. The use of a quality wireless microphone system for speeches etc. is included. On the day I will ensure that the disco is set up to meet with your timings (to ensure minimum disruption). Then I will interact with you and your wedding guests to create a fantastic party atmosphere incorporating all your favourite tunes & requests as the grand finale to your wedding day.